11 L x 5 7/8 H x 2 3/4 W in. 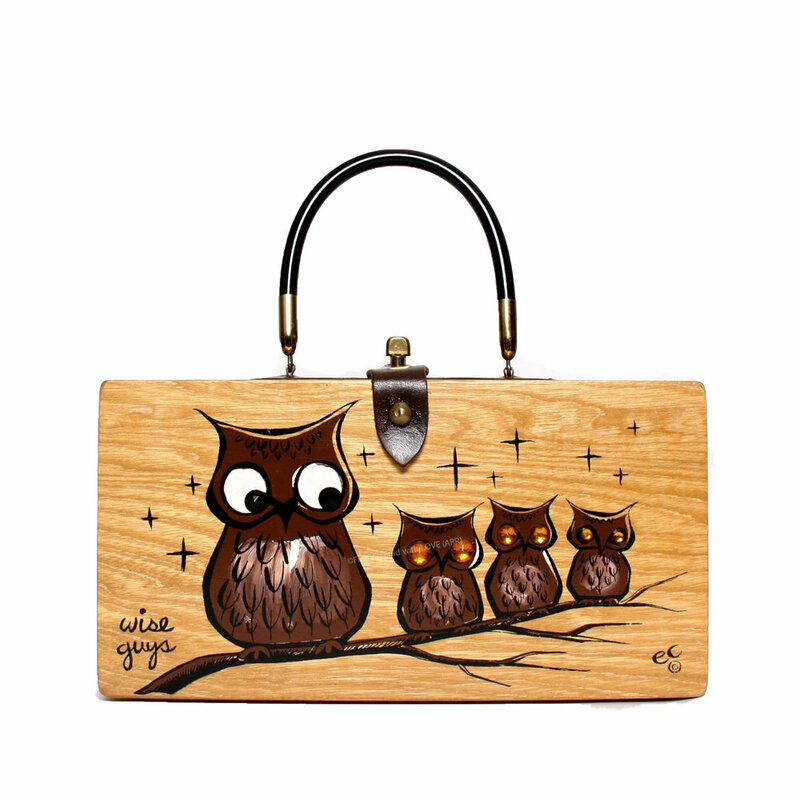 Multi-color screen print and bejeweled box purse depicting family of owls perched on a tree limb, with stars in the sky behind. Owls are printed in dark brown with outlines and details in black and white. Eyes of the owlets are done in amber-colored faux gems. "wise guys" printed in hand-style script in lower left corner of front. One of several variations Collins made of this design over the years. Reg. no. GP35651; 09/02/1962; "Large owl with eyes open & 3 small owls with eyes closed, perched on a tree branch."